La Farra is a family run business which reflects the dynamic and hardworking personality of the Nardi family. It has always been careful to valorize and respect the territory, making wine from grapes grown in its own vineyards and carefully applying modern oenology techniques to obtain wines with an unmistakable elegance and quality. following the family wine tradition and within a few years was able to make a name for its products in the national and international market, maintaining its firm ties to its own land. It is located in Farra di Soligo, in the middle of the Conegliano Valdobbiadene DOCG area, land of Prosecco Superiore. It presently produces more than 300,000 bottles. Its 20 hectares of vineyard are situated in the municipalities of Farra di Soligo (the main part), Pieve di Soligo, Follina and San Pietro di Feletto. Such position allows the winery to produce special quality grapes which best combine the floral scents typical to the lands of Valdobbiadene and the flavors typical to those of Conegliano. La Farra carries out a modern viticulture, rigorous and respectful to the environment; the vine growing techniques used help the quality of the grape. All the processes performed in the vineyard are rigorously done by hand. 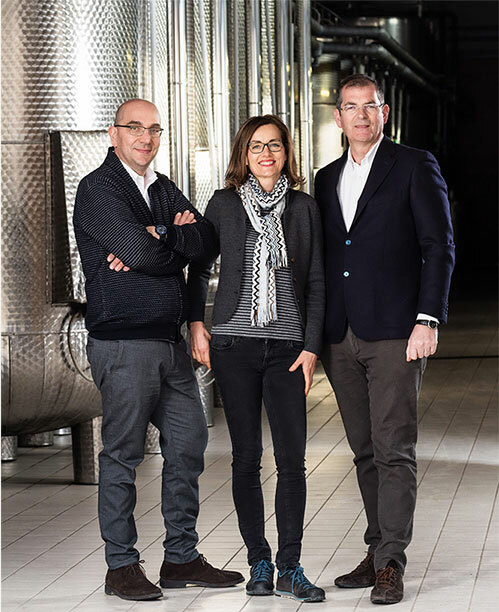 The winery is run entirely by the Nardi brothers Innocente and Guido, who besides being passionate viticulturists, apply with dedication their knowledge which was obtained at the Scuola Enologica di Conegliano, the oldest oenology school in Italy. Their philosophy is based on the awareness that to obtain excellent wines it is indispensable to start with high quality grapes. The next step is to enhance the value of the grapes through a careful winemaking process. La Farra’s technological equipment (temperature control, modern system of natural secondary fermentation in autoclave, isobaric fully automated bottling system) and the wise use of the most updated oenologic knowledge, keep intact the suggestions that nature gently instills in the grapes.